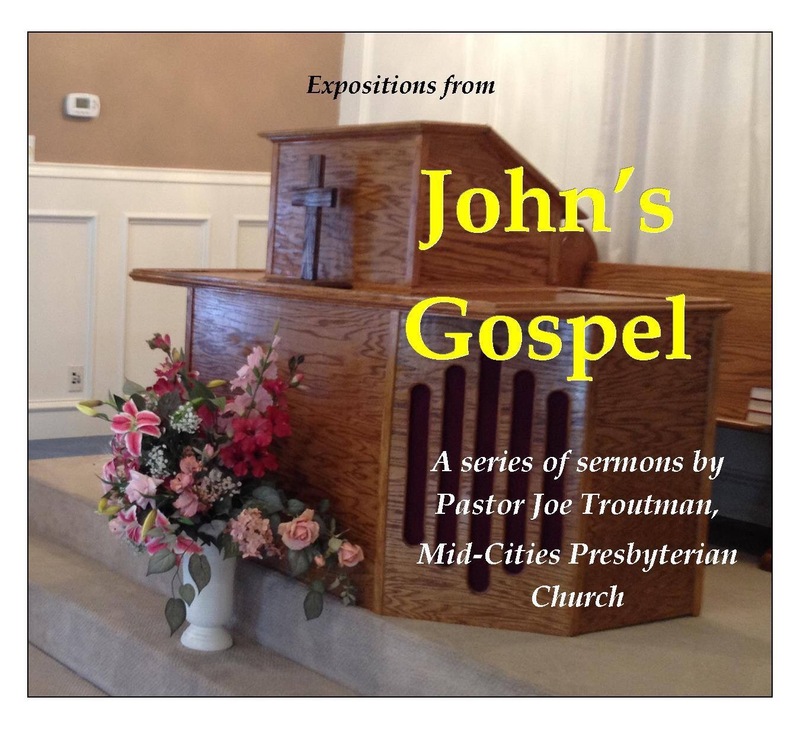 On Sunday, May 31, 2015, Pastor Joe Troutman preached the sermon, “A Little While Longer” (John 7:32-39). Jesus Christ promises after his crucifixion, resurrection and ascension that he will send the Holy Spirit completing the accomplishment of our salvation. 1. Going Away (7:32-36)—Many believe in Jesus because of his miraculous signs. The angry chief priests send temple guards to arrest Jesus. Jesus tells his hearers, “I will be with you a little longer, and then I am going to him who sent me. You will seek me and you will not find me. Where I am you cannot come” (John 7:33-34). With these words, Jesus alludes to his death, resurrection and ascension to the right hand of the Father in heaven for our salvation as if they were all one unified act. No other person is able to do the work that he is planning to six months after the events in this passage. We cannot do what needs to be done to save sinners. We can do nothing to earn our own salvation. We must rest in the atoning work of Jesus Christ alone for salvation. 2. The Promise of Fulfillment (7:37-39)—On the last day of the Feast of Booths, Jesus took the words of Isaiah 55:1 as his own when he called on any who thirst to come to him and drink, promising rivers of living water from the hearts of those who believe in him. Jesus’s giving of the Spirit is the final step in the accomplishment of his work for the redemption of all who will believe in him. As the time of Jesus’s earthly ministry was getting short, so is the time before his return. The time is now to receive him. The salvation he accomplished once and for all two thousand years ago is being applied today. Believe in Jesus and he will give you living water and you will never thirst again.